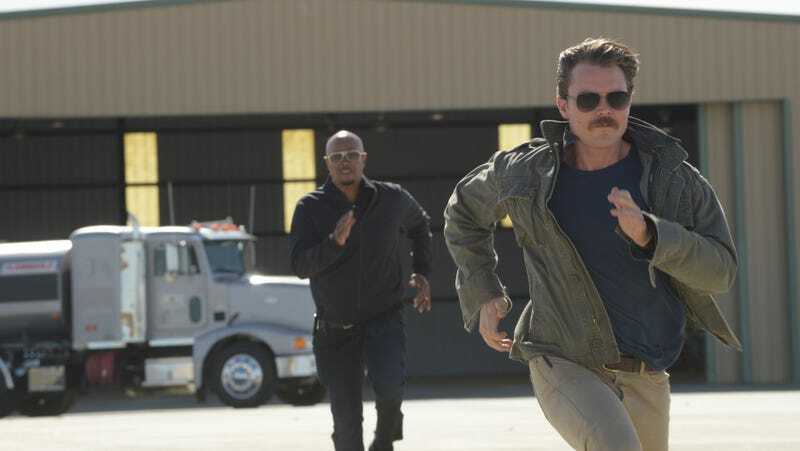 We started getting indications that there was something wrong on the set of Fox’s Lethal Weapon TV remake a few weeks ago, when an apparently months-long feud between stars Clayne Crawford and Damon Wayans started breaking out onto social media. That bit of in-fighting—which included Wayans’ assertions that he’d gotten hurt doing a stunt on an episode that Crawford was directing—was resolved with some finality shortly afterward, when producer Warner Bros. announced that it was firing Crawford from the two-season series, replacing his Riggs with a new character being played by Seann William Scott. In fact, if we might be so bold, it kind of feels like the show’s producers ran smack into the problem of casting actors who were a little too like the characters they were portraying. (Consider this your reminder, kids: Quasi-suicidal zeal and bone-deep weariness and contempt are only fun when fake fictional people do them!) The Variety piece goes so far as to suggest that the knock-on effects of the feud are still being felt on the show’s set; Lethal Weapon recently fired a bunch of below-the-line talent, and the repeated assumption is that was at least partly intended to clear out any “Crawford loyalists”—you know, like a king would have—still lurking in its ranks. But now the Armies of Wayans are ascendant and all is right with the Lethal Weapon world (at least, until the rebel forces of Scott can marshal their strength).